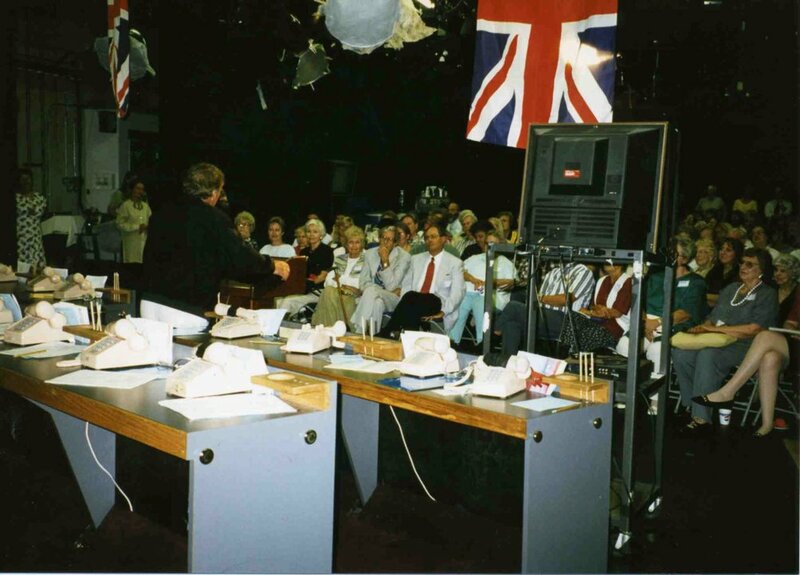 Are you a fan of the beloved British sitcom, “Are You Being Served?” Did you know that in the 1990s some of their cast members crossed the pond to visit Rocky Mountain PBS? 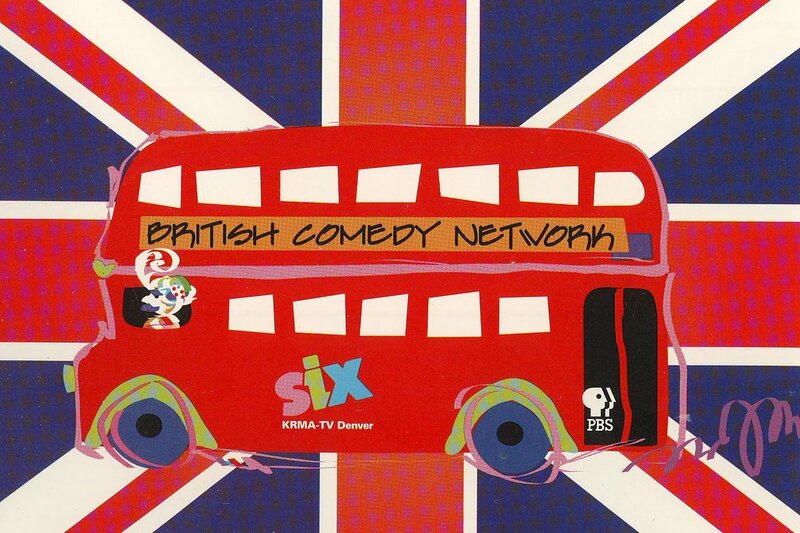 Several members of the BritCom cast helped raise funds for public broadcasting, especially during Festival (Pledge) or Membership Drives. 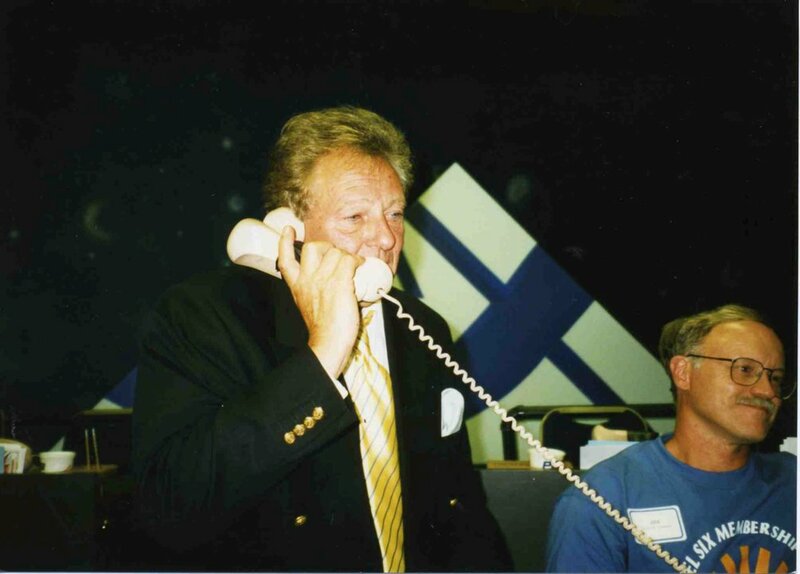 KRMA was graced with personal visits from both John Inman, the program’s star and Trevor Bannister, aka the naughty junior salesman at Grace Brothers, Mr. Lucas. 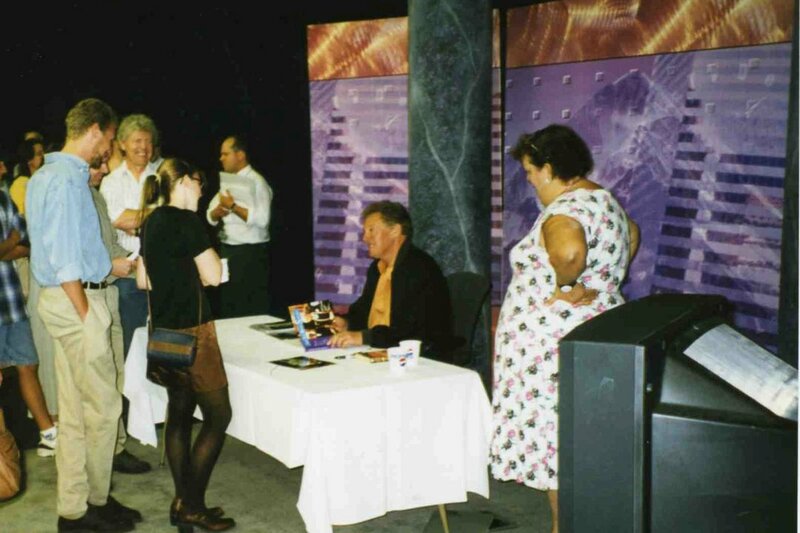 On August 15, 1997, Trevor Bannister entertained guests and viewers in Denver’s KRMA studios at 1089 Bannock Street. Viewers, volunteers and production staff enjoyed Mr. Bannister’s visit tremendously. Keeping with the tradition as a “community licensed” public broadcasting station, KRMA invited members of the community to be a part of a live audience on the evening of Mr. Bannister’s appearance. He graciously “pitched” throughout the fundraising drive asking people to financially support KRMA. He also spoke directly to viewers that were calling in their phone pledges and autographed 100s of photographs* for in-studio guests and volunteers. 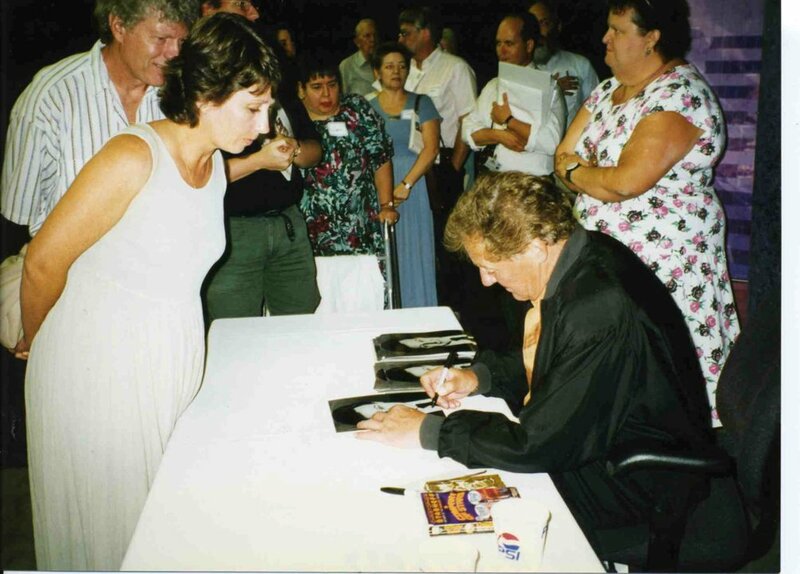 You are “graciously” invited to enjoy browsing the archive department’s (SAM) photographs from Trevor Bannister’s August 1997 visit to Rocky Mountain PBS.